The Day Has Arrived. And It's Perfect. There’s something kind of magical about the Prallsville Mills. Its historic buildings and scenic grounds create a rustic yet sophisticated atmosphere, perfect for weddings and other celebrations. The complex includes the Grist Mill, which is available for private and non-profit events year-round, the beautifully restored Saw Mill, as well as the Quarry House, which is available seasonally for outdoor parties. Call 215-622-8195 to schedule a private tour and consultation. The beautiful stone Grist Mill is a warm and inviting venue, full of unexpected delights and intriguing spaces, with an indoor seating capacity of 120. The room comes to life with its unique blend of intimate lighting, soaring wooden beams and intricate milling machinery. The magnificently restored Saw Mill is an open and welcoming space that features massive 9x12 hewn oak timbers and weatherboards. The room, which seats 100, is an ideal setting for your rehearsal dinner or other special event. The charming Quarry House features a lovely outdoor tented area, lined and floored, that can accommodate up to 180 guests. The 11-acre site is available from mid-April through early November, and features a quaint private suite and a restored covered deck. The historic Prall House is a warm and inviting space for gatherings and celebrations for up to 50 guests. The classic stone facade gives way to fresh and modern interiors marked by a cosmopolitan-country appeal. The Prall House's backyard, with a sliver of quarry pond and creek snaking its way through the property, is ideal for al fresco events before, during, or after the main event. All of these spaces offer spectacular views of the rolling countryside along the Delaware & Raritan Canal and the Delaware River. 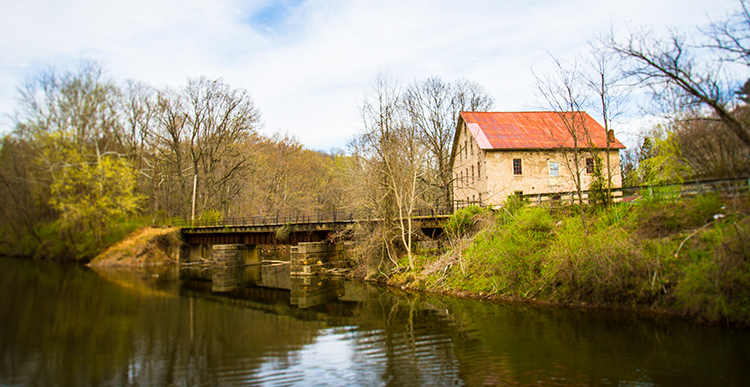 The Prallsville Mills is a beautiful and historically significant property, designated as the center point of the NJ Scenic Byway, and listed on the National Historic Registry. The site is a popular destination for weddings, as well as bar and bat mitzvahs, birthday parties and anniversary celebrations, showers, galas and fundraisers. Located in scenic Stockton, NJ, the Prallsville Mills is convenient to a number of quaint bed and breakfasts, recreational facilities and such popular nearby towns as Lambertville, NJ and New Hope, PA. The expansive Prallsville Mills complex is maintained, preserved and operated by the non-profit Delaware River Mill Society. 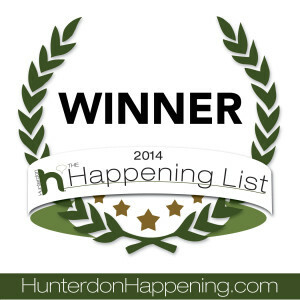 The Prallsville Mills, named the "2014 Hunterdon Happenings Best Wedding Venue," is also available for weekday events and corporate team building functions. For more information, including rates and availability, or to schedule a tour, please call 215-622-8195.